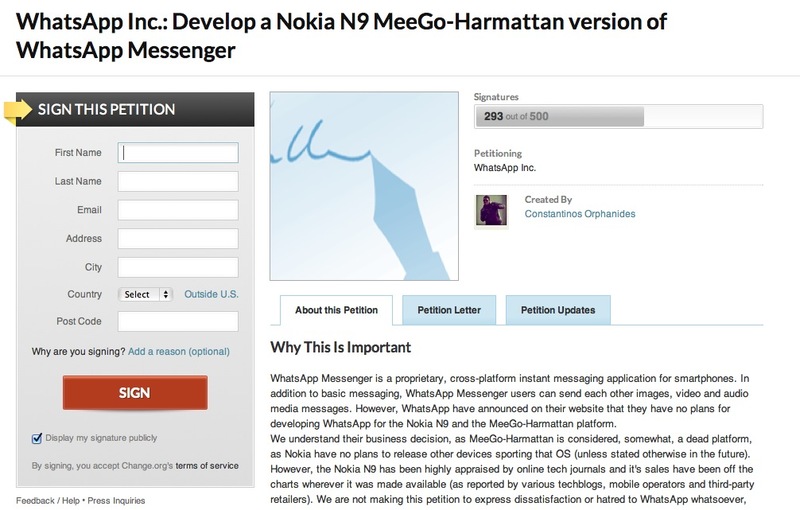 Petition: Get WhatsApp for Nokia N9 MeeGo-Harmattan! There are 293 signatures so far, trying to reach a mark of 500. What’s App of course is the cross platform messenger that is available on all of the platforms Nokia handsets are on except MeeGo-Harmattan. An alternative of course whilst N9 users are waiting is eBuddy, also available cross platform. Thanks Constantinos and Yourik for the tip! « Leak or Fake: Nokia Lumia 601?